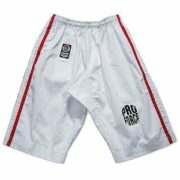 ProForce® Gladiator 8 oz. 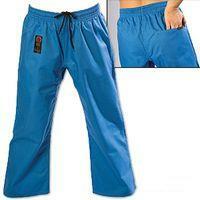 Combat Pants-Blue - Academy Of Karate - Martial Arts Supply Inc.
2″ wide elastic waist with a rear pocket. 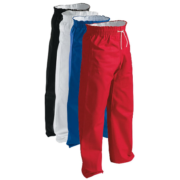 Outside drawstring and gusseted crotch. 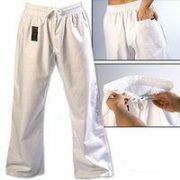 Cut extra long with hem. Constructed from an 8 oz. 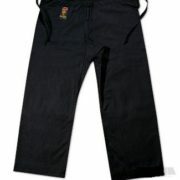 cotton/polyester twill.